Swedish athlete Sarah Van Der Wielen runs 72:01 in Oxford, while the second fastest British marathoner of all time, Mara Yamauchi also performs well in the university town. 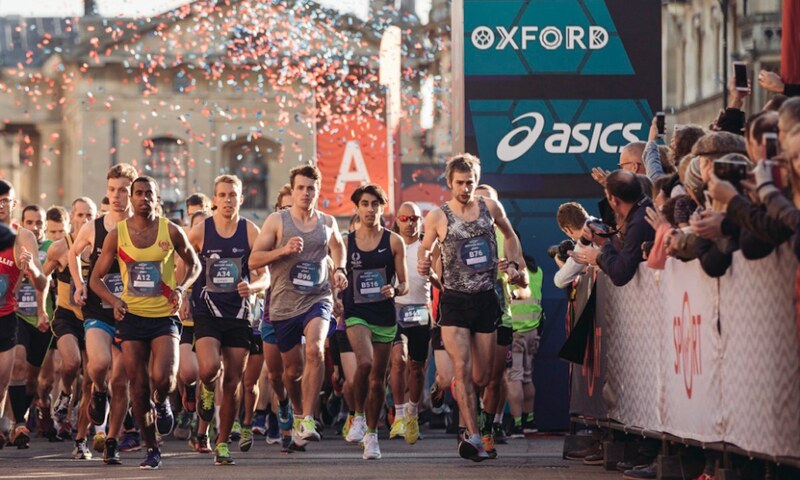 The Oxford Half Marathon on Sunday (October 7) witnessed one of the fastest half marathon times on British shores this year by a woman when Swedish international Sarah Van Der Wielen ran a superb 72:01 time to victory. Her result not only won the women’s race by nearly seven minutes but also placed her 12th overall, which goes some way to show both the quality of her performance but also the relative strength in depth of the men’s top ten here compared to other half marathons this weekend. Ben Cole took the overall win in 68:37, ahead of Seyfu Jamaal’s 69:45. Luuk Metselaar ran 70:08 for third, while the top 11 all dipped under 72 minutes. The women’s runner-up spot went to Rose Penfold, who impressed with a 78:57 clocking, while Kelly Edwards also ran well for third in 81:04. A notable top 10 place went to former marathon international Mara Yamauchi, who ran 84:13 for 9th. 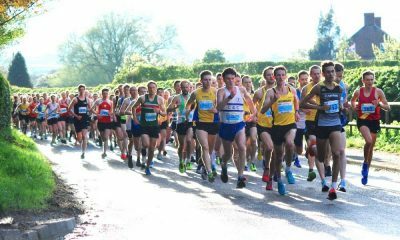 While many of the club’s top athletes competed in the National Road Relays the day before, Tonbridge still produced some podium prize winners here on home turf (Sunday). 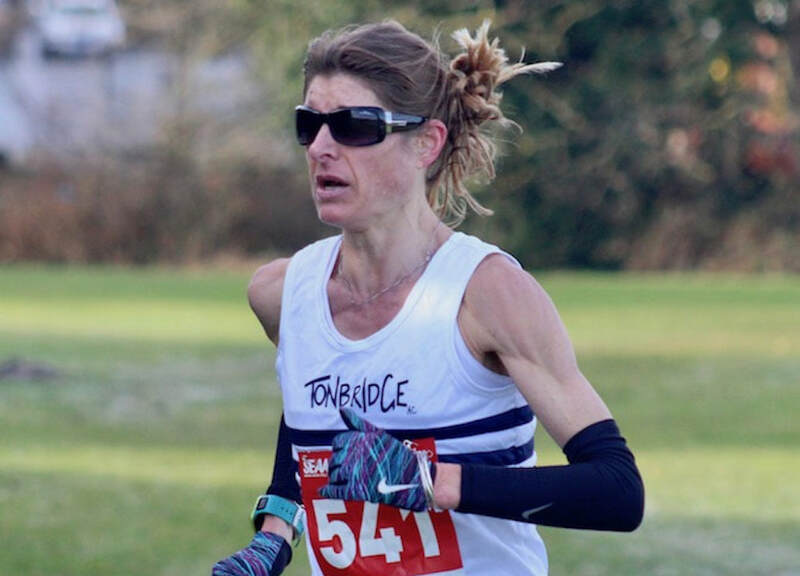 Tonbridge’s Maria Heslop has always been a class act, and the V50 proved that once again when winning in 82:32, a margin of victory of nearly eight minutes! Tunbridge Wells Harriers’ Harriet Woolley was second in 90:17, while Maidstone Harriers’ Charlotte Bates took third in 91:31. South London Harriers’ Daniel Gaffney was a clear winner of the men’s race in 71:25, ahead of Tonbridge’s Dan Bradley’s 73:42 and Neil McClements’ 74:14. Tom Aldred of London Heathside was a dominant winner here in 69:39, finishing more than two minutes clear of second placed Toby Lambert from Winchester & District. Lambert was also nearly two minutes ahead of third placed Rob Wood from Basingstoke & Mid Hants AC, with the pair posting times of 72:08 and 73:55 respectively. There was an even bigger victory in the women’s race with V40 Lesley Locks from Hart Road Runners taking the win in 82:28. Freya Martin and South Derbyshire Road Runners’ Jenny Laing were second and third in 86:48 and 89:15. David Long was a runaway victor in the Bournemouth 10k (Saturday), posting a class 30:42 winning time. Nick Marriage and Ben Lewis enjoyed a close battle for the minor podium positions, with Marriage just holding off Lewis with a 33:10 result to Lewis’s 33:18. Bethan Francis just came out on top from a fierce race to the finish line with Georgia Wood, Francis pipping Wood by just two seconds, their times 37:43 and 37:45 respectively. Serena O’Connor was not far behind in third in 38:06. There were close finishes in the Bournemouth Half Marathon too (Sunday), with the top three men separated by just 34 seconds. Alex Van Tuyl was the overall winner in 70:14, ahead of Richard Waldron’s 70:35 and Sean Hogan’s 70:48. Alissa Ellis took the women’s top prize in 84:25, with Lucy Barnes in second with 85:38 and Alex Lane claiming the third podium spot in 86:23. While most eyes were on the Chicago Marathon results this weekend, thousands were battling it out on Bournemouth seafront for their own marathon goals (Sunday). Just two men dipped under the 2:30 barrier in the Bournemouth Marathon, with Iain Trickett doing so comfortably in victory with a 2:25:45 result. 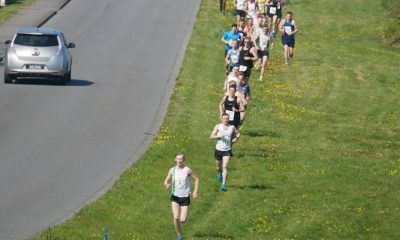 V35 Richard McDowell excelled to run 2:26:49 in second, while fellow veteran David Hudson was third in 2:30:30. V45 Sarah Hill was the only woman to beat three hours as she ran 2:55:39 to take the win. V35 Juliet Champion just missed the elusive barrier when posting a 3:01:18 result for second, while V40 Becky Atkinson wasn’t far behind in 3:01:35. A great day for the masters athletes! No clubs were given in the provisional results. Marie Faithfull was true to her name when she faithfully stuck to her guns to take the title here (Sunday) by some margin in 36:12. Dawlish Coasters’ V40 Mel Brooks ran a 39:43 PB for second place, while Lutie Akinci was third in 40:30. Josh Trignell was first across the line in the men’s race in 32:00, more than a minute clear of second placed Steve Gallienne, who ran 33:06. Bodmin Road Runners’ Clive Ramsden’s 34:16 was good enough for third and a PB to boot! 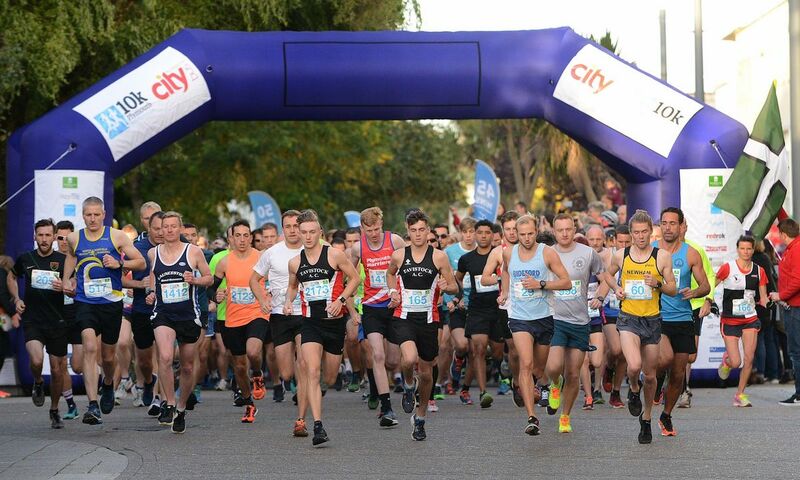 There were some classy times here in the South West city of Salisbury (Sunday), with the top two men dipping under 70 minutes and the top three women all well under 90 minutes. The podium men all ran PB’s, with Micky Morris’s Chris Carpanini just clinching victory in 69:17 from Calne’s Simon Nott’s 69:25. Aberdare Valley’s Dan Bodman was third in 71:02. Two of the top three women were veterans and all ran PB’s, proving once again how many athletes seem to get faster with age. Avon Valley’s V45 Jacqueline Rockliffe took the top prize in 83:21, ahead of Running For Time’s Rachel Ashington’s 86:18 lifetime best. City of Salisbury’s V35 Ruth Thom brought home the city’s only podium medal in third with an 87:40 PB. Marc Brown was the first across the Great Cumbrian Run finish line in an impressive 68:19. The Salford Harriers athlete finished almost eight minutes ahead of second placed Harry George Lancaster. Preston’s Lydia Chapman won the women’s race in 82:08. 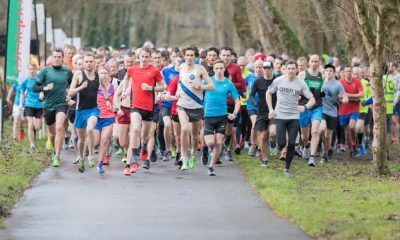 Aldershot, Farnham & District’s women defended their title and Stockport Harriers took the men’s equivalent at the ERRA National Road Relays at a wet and windy Sutton Park on Saturday. 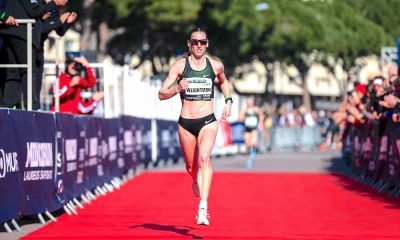 There was an Australian take-over in Cardiff as they walked away with a gold and three silver medals at the inaugural Commonwealth Half Marathon Championships in Cardiff on Sunday. Jack Rayner took pride of place as he beat off the Ugandans and Kenyans in the race of his life to take the men’s title in a massive personal best time of 61:01. In the women’s race, Uganda’s Juliet Chekwel took the title in 69:45 with Australia’s Celia Sullohern coming home in the silver medal position in six minute PB time of 71:04. A full report can be found here. A dominant Mo Farah set a European record of 2:05:11 in recording his first win at the distance at the Bank of America Chicago Marathon on Sunday.